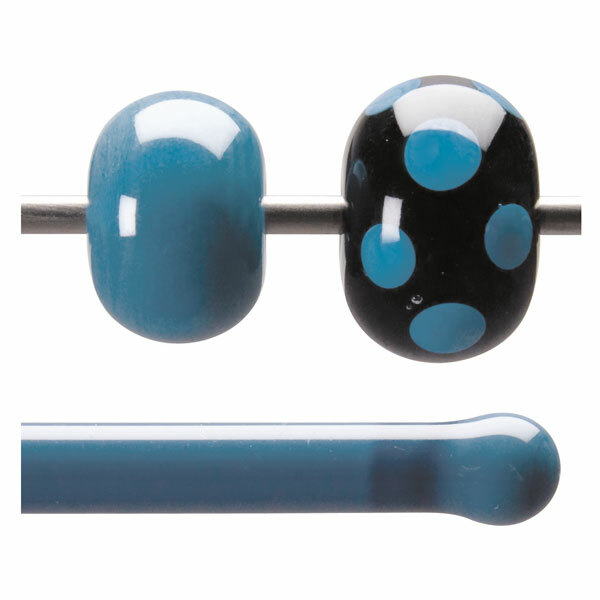 Teal blue, a shade lighter than standard Steel Blue Opalescent (000146-0576) and with greater opacity. Torch: Remains opaque even in small amounts. Holds a crisp edge in the flame. Greater copper content than 000146-0576 (Steel Blue Opal), which often produces stronger reactions. Opaque rods are formulated solely for flameworking with Bullseye rods.